Sister Juila is an exceptional psychic, that is very accurate. She gives real facts and does not sugar coat the visions or cards that she sees.If you're tired of wasting your time, I suggest you call Juila today. Always an exceptional reading! Thank you! Hi my name is Julia, i am so glad you have choose me to direct you in the right path. Did you ever think you would be talking to a live psychic? Well its not accidental. if you could make changes in your life without the pain or suffering, why not try it? Maybe your call would benefit someone else. We are all here for a purpose, I'm here to listen and also here to give you advice. I'm just a phone call away from answering your questions. I have been able to help so many others through gods help.No question is too hard for me. Have you had a loved one pass and would like to know their well being, I can Chanel in and communicate for the two of you. 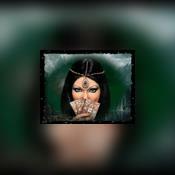 Card readings are my favorite because i tell you your past, present, and future. I will be waiting for your call and have a blessed day. Sister Julia has been a user of Keen since 2004. Getting Otherworld Connections advice from Sister Julia through www.keen.com is safe, secure and confidential.